For two years, it seemed like the matter had been settled. But on Friday, the United States women’s national team resumed its protracted and righteous fight for equal pay with the men’s national team by suing the United States Soccer Federation for “institutionalized gender discrimination,” according to the New York Times. Three months and three days before the 2019 Women’s World Cup kicks off in France, where the USA will defend its title. And it is absolutely right to do this, and do it now. You may recall that this isn’t the first time the U.S., the world’s most successful national women’s team by far, has taken legal action against the federation over a gender pay gap. In 2016, five leading players sued for the right to strike ahead of the Rio Olympics, arguing that the memorandum of understanding that replaced their expired collective bargaining agreement didn’t preclude a work stoppage. The federation counter-sued, and the women subsequently filed a complaint with the federal Equal Employment Opportunity Commission. But then, a year later in April 2017, the team and the federation reached agreement on a new CBA, which runs through 2021 and raised their pay and working conditions but made no guarantees about gender equality. From the outside, it seemed like that resolved the dispute. But the players never withdrew their complaint and the EEOC has yet to rule on it, apparently stumped by the singular nature of the case – both its high profile and the fact that the men’s and women’s national teams do the same work, but in very different market conditions. On Friday, the U.S. players escalated the dormant conflict by suing and effectively dropping the EEOC complaint. The new suit, under the Equal Pay Act and Title VII of the Civil Rights Act, was filed with the United States District Court in Los Angeles and includes all 28 current USWNT players. They argue that they weren’t merely discriminated against in their pay, but also in a slew of other areas, ranging from the volume and location of games, to transportation, coaching and medical treatment. The women are demanding back pay, damages and for the other inequalities to be addressed. They have also requested class-action status, allowing them to potentially represent all national team players going back more than four years. The men’s national team released a statement on Friday in support of the women’s team. This touches on the underlying complexity of this long-running standoff. It’s tricky to pay the women equally to the men because they are compensated through very different mechanisms. The men’s now-expired CBA is premised on an all-bonus system. Players are only paid when they’re called up and receive no benefits, but then get more depending on performance. Their bonuses are far bigger than those of the women’s team. But the women receive guaranteed six-figure salaries with extensive benefits, including maternity leave and long-term disability pay. As an aside, it’s worth noting here that the men also have contracts with their club teams, which include benefits and mostly guaranteed money. The women typically don’t, as their NWSL salaries are rolled into their U.S. Soccer contracts. Trickier still is working out what each team is actually bringing in. U.S. Soccer long made the argument that women are paid less because their team generates less revenue. But it’s nearly impossible to underscore that claim with data, even though the federation has tried. While World Cup bonuses from FIFA are far bigger for men than women, beyond the control of U.S. Soccer, the domestic broadcast and sponsorship rights to both teams are bundled into the same contracts. The TV deals, in fact, also include Major League Soccer rights, further conflating the numbers. As such, there’s really no telling which team makes what, exactly, other than to point out that the women have far more mainstream traction and larger social media followings. While women are now compensated better than a few years ago, the pay still isn’t entirely equal most years – never mind that the men didn’t qualify for their last World Cup while the women won theirs. 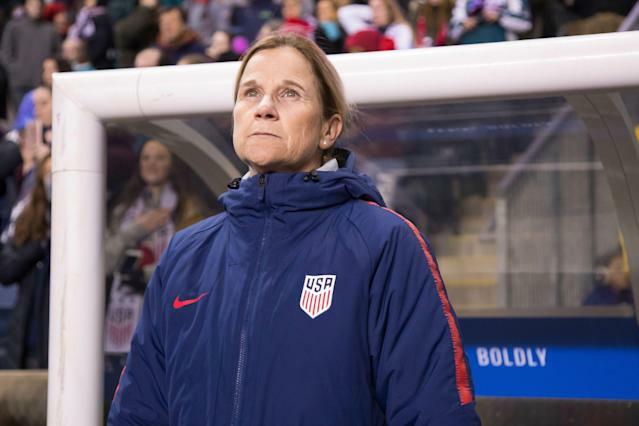 It was also apparent from a recent tax filing that women’s head coach Jill Ellis made less money than the men’s under-20 coach and what a former men’s assistant coach had earned. The timing of the suit is obviously symbolic as well as pragmatic, falling on International Women’s Day and so close to the World Cup. This is when attention and leverage are at their highest for the U.S. women. Their argument for equal pay is convincing. They do the same work as the men. And they objectively do it better. The federation’s revenue defense ought to be moot by now. Because U.S. Soccer is a non-profit, meaning it shouldn’t be allowed to hide behind economic arguments. It plainly has the money to do the right thing, with cash reserves reportedly in the tens of millions of dollars. Besides, the only reason it can even make that claim is that the USSF has made the gender division in its revenues inscrutable. Clearly, the women are no longer buying it, or waiting around for a federal commission that evidently has no interest in delivering a verdict. This is all perfectly understandable and reasonable. 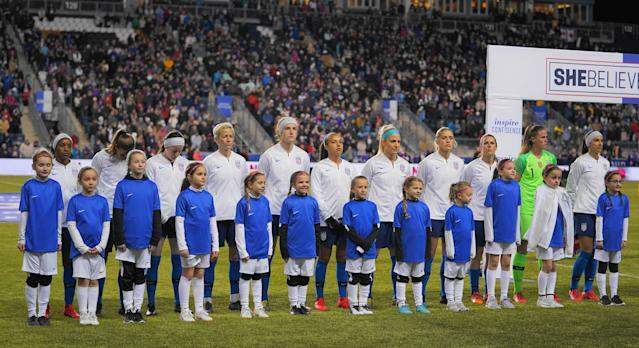 The United States women’s national team wants full equality. And it wants it now.